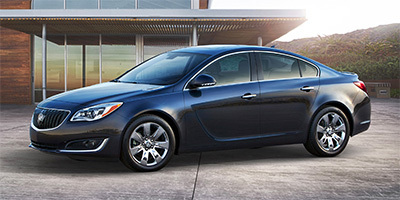 Find the latest 2014 Buick Regal recalls as issued by the National Highway Traffic Safety Administration (NHTSA) and Manufacturers. Consequence If any of the components separate, the vehicle may have a loss of steering, increasing the risk of a crash. Consequence If a vehicle's shift cable disengages from the transmission shift lever, a driver may be unable to shift gear positions and the indicated shift position may not represent the gear position the vehicle is in. Should a disengagement occur while the vehicle is being driven, when the driver goes to stop and park the vehicle, the driver may be able to shift the lever to the "PARK" position, but the vehicle transmission may not be in the "PARK" gear position. If the vehicle is not in the "PARK" position there is a risk the vehicle will roll away as the driver and other occupants exit the vehicle or anytime thereafter. A vehicle rollaway increases the risk of injury to exiting occupants and bystanders. Remedy General Motors will notify owners, and dealers will inspect and replace any affected transmission shift cable adjusters, free of charge. The recall is expected to begin in late March 2014. Chevrolet owners may contact General Motors at 1-800-222-1020, Buick owners at 1-800-521-7300, and GMC owners at 1-800-462-8782. General Motors' number associated with this recall is 14048. Remedy GM began to notify owners on June 27, 2014, and dealers will inspect the fasteners for correct torque, correcting them as necessary, free of charge. Owners may contact GM customer service at 1-800-521-7300 (Buick), 1-800-458-8006 (Cadillac) or 1-800-222-1020 (Chevrolet). GM's number for this recall is 14378. Summary General Motors LLC (GM) is recalling certain model year 2014 Buick Regal, Cadillac XTS, Chevrolet Camaro and Chevrolet Impala vehicles. Improperly torqued fasteners may cause the steering intermediate shaft and the steering gear and/or the lower control arm and the lower ball joint to separate. Summary General Motors LLC (GM) is recalling certain model year 2014 Buick Regal, LaCrosse, Verano, and Enclave, and Chevrolet Impala, Malibu, Cruze, and Traverse, and GMC Acadia vehicles equipped with automatic transmissions. In the affected vehicles, the transmission shift cable adjuster may disengage from the transmission shift lever. As such, these vehicles do not conform to Federal Motor Vehicle Safety Standard (FMVSS) number 102, "Transmission Shift Lever Sequence, Starter Interlock, and Transmission Braking Effect." They also fail to conform to FMVSS number 114, "Theft Protection and Rollaway Prevention."